On Srebrenica Memorial Day Aberdeenshire Branch remembers the 12,000 people killed in the Srebrenica massacre 23 years ago. Scott Broadley, Branch International Officer said, “UNISON condemned the massacre of innocent people 23 years ago and we remember it now. We must do all we can to make sure that this never happens again. The massacre in Srebrenica began in Potocari, where some 25,000 Bosniak refugees had desperately gathered awaiting evacuation. 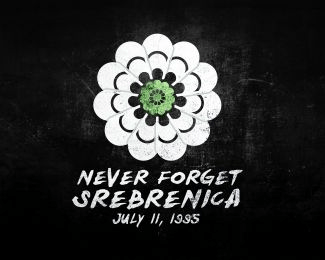 After entering the city in 13 July 1995, Bosnian Serb forces, led by Ratko Mladic, moved into Potocari and separated many Bosnian men and teenage boys from the rest of the crowd before killing them; some women and girls were raped and killed as well. The Dutch UN peacekeepers stationed in Srebrenica were unable to stop the massacre, despite having their headquarters in the town. In all, about 1,200 innocent people were murdered at Potocari before the survivors were evacuated to Tuzla. In October 2000 Wolfgang Petritsch, the High Representative for Bosnia and Herzegovina, declared that the land in Potočari would be turned into a memorial and cemetery for the victims of the genocide. In May 2001, a foundation was established to oversee and finance construction of the Srebrenica Genocide Memorial. Two months later, around the time of the sixth anniversary of the massacre, a foundation stone was laid for the memorial in front of a crowd of 15,000 people. The first memorial was held in July 2002 with about 20,000 attendees. The first 600 victims were buried in the new cemetery in March 2003.